Revenues from VLTs, casino slot machines and electronic bingo totalled $1.736 billion for the fiscal year, according to the latest annual report from Alberta Gaming, Liquor and Cannabis. That's up slightly from $1.732 billion in 2017, which marked a low point for provincial lottery revenues in Alberta. The province's annual take from its gaming activities peaked in 2015 at $1.906 billion but then slid for the next two years, which the AGLC says was connected to the economic downturn. Gambling revenues and the economy often go hand-in-hand, according to David Hodgins, a psychology professor at the University of Calgary and research co-ordinator with the Alberta Gambling Research Institute. "People gamble for lots of different reasons, and for lots of people, it's very much a leisure activity," he said. "And the more disposable income people have, the more they engage in leisure activities. So it's certainly tied to the economy in that way." For a small number of people with gambling addiction, however, he said it's often the opposite — the more dire their personal financial situation, the more they tend to gamble. "They see it as a way of getting money as opposed to spending money," Hodgins said. "Gambling addiction is associated with the perspective that gambling is a potential solution to problems, in comparison to somebody who's gambling for fun, where they see it as a source of entertainment." 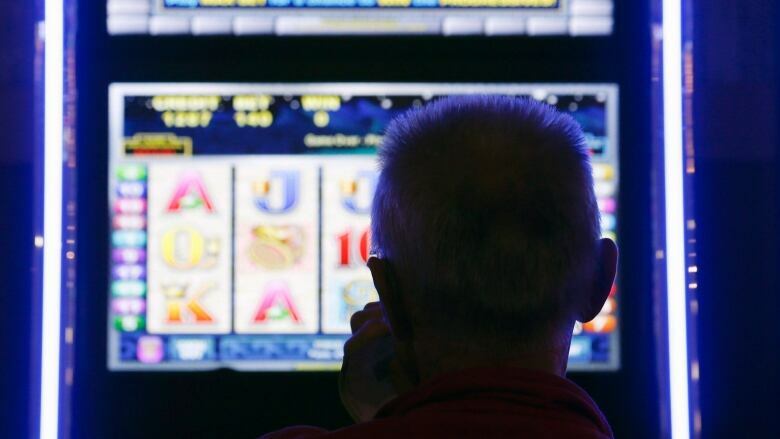 Hodgins says numerous surveys in multiple provinces suggest about one per cent of adults have "significant gambling problems" and another one to two per cent have "moderate" problems with gambling. Of the three forms of gaming that the province directly operates, VLTs saw the largest growth last year, with revenues up 1.9 per cent. Electronic bingo revenues grew by 0.4 per cent, by comparison, while revenue from slot machines in casinos shrunk by 0.6 per cent. AGLC spokesperson Chara Goodings said VLT revenues, in particular, tend to move up and down with the economy because they are more widely dispersed throughout the province. There are roughly 900 bars, lounges and other licensed premises with VLTs, Goodings said, while casino-based slot machines are limited to 28 locations in Alberta. VLTs also "do a better job of capturing the changes in the economy because they are more of an interest to the younger demographic," she said. Revenue from VLTs, slot machines and electronic bingo, minus related expenses, plus Alberta's share of income from the Western Canada Lottery Corporation goes annually to the Alberta Lottery Fund. For 2018, that totalled just over $1.4 billion. The Alberta government disperses the money from that fund to a variety of provincial operations. $638 million to health care (specifically, continuing care). $300 million to school transportation, plant operation and maintenance. $184 million to various culture and tourism programs and grants. $123 million to the First Nations Development Fund. $70 million to community and social services. $40 million for provincial highway maintenance. $23 million to agricultural service boards, societies and exhibitions. $10 million for Alberta Parks operations. This does not include revenue from casino table games, bingos, pull tickets and raffles, which are operated separately and fall under the "charitable gaming" classification in Alberta. Proceeds from charitable gaming totalled $331.2 million last year, down slightly from $336.2 million the year before. The proceeds must be used "for approved charitable or religious purposes," according to the AGLC annual report, and each year go to support "thousands of programs and services provided by charitable organizations to their communities."